Ammi majus, also known as Queen Anne’s lace, is a wonderful white bouquet filler and spectacular arranged in cloud of white on its own. This dainty little flower with its lacy heads of pure white complements any color scheme in the vase with its long sturdy stems and large full flowers. Create an elegant country garden wedding bouquet with ammi majus, sweet peas, roses berried eucalyptus, veronica and astrantia - a perfect bridal bouquet – with a scent that is to die for! Use them to round out a summer bouquet and give it a soft, full, garden look. The vase life of the ammi plant is 7-10 days. To get the longest life out of them, place them in a cool place, away from open windows and strong draughts, fresh fruit (which cause them to wilt more quickly), or direct sunlight. Flower Explosion sells cheap ammi majus of the highest quality that never sits in a wholesaler’s warehouse. They are shipped via state-of-the-art cold storage, as soon as they are picked, direct to your door—or wherever you specify. 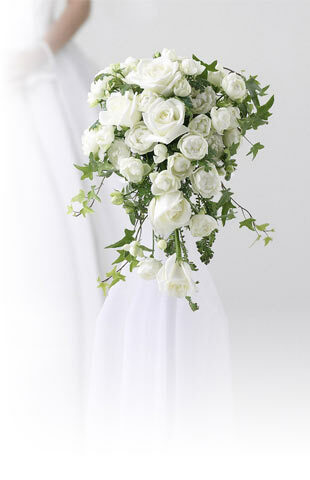 Remember to schedule your delivery two days prior to your event to allow sufficient time to hydrate your flowers. Buy fresh cut ammi majus for sale online today!